Jupiter Energy Limited (ASX:JPR) is an oil exploration company, listed on the ASX, with exploration acreage in Kazakhstan. 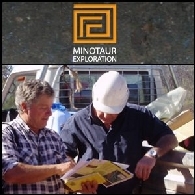 Its initial purchase was 100% of an exploration block (known as Block 31) in the Mangistau Basin. The Company has recently announced its successful application for an extension to this Block meaning it now has 100% ownership of a total of 127 sq km of exploration acreage in an area of proven oil production. 3D seismic is currently being shot over 95 sq km of the permit and the results of this work is expected to identify a range of targets that will be the focus of a drilling program during 2009. JPR has offices in Perth, Australia and in Almaty, Kazakhstan. 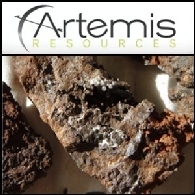 تقرير السوق الاسترالية ليوم 4 تشرين الثاني/نوفمبر، 2010 يشمل ما يلي: اعلنت شركةArtemis Resources ASX:ARV عن تأكيد لنتائج واعدة جدا للمعادن النادرة في موقع يانغيبانا Yangibana. تسلمت شركة Arc Exploration Limited ASX:ARX نتائج اضافية مشجعة لاستخراج الذهب من مشروع بيما Bima في اندونيسيا. اعلنت شركة Jupiter Energy Limited ASX:JPR عن بدء حفر البئر النفطية الاستكشافية J-52 في بلوك 13 في كازاخستان. اعلنت شركة Mindax Limited ASX:MDX عن عن اكتشاف مهم لخام اليورانيوم وبنسب عالية في غرب استراليا.